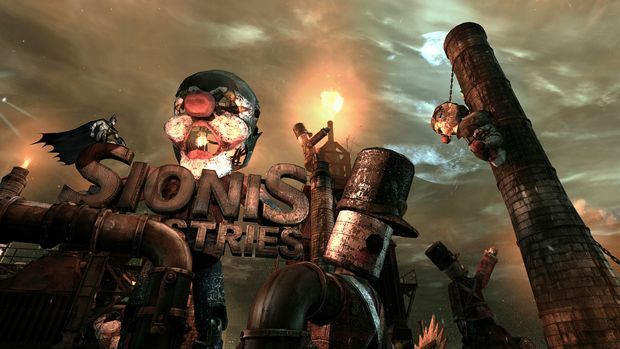 Arkham Asylum has been closed, and the criminal scum have all been rounded up into Arkham City, a super-prison made up of districts that once were part of Gotham City. The new prison is five times the size of Arkham Island and is festering with evil. Developer Rocksteady Studios gave us a first look at the new Batman adventure yesterday, and boy, does this game look awesome. The demo was sadly hands-off, so I'll just be describing what I witnessed as Rocksteady showed off the first chapter of Batman: Arkham City. 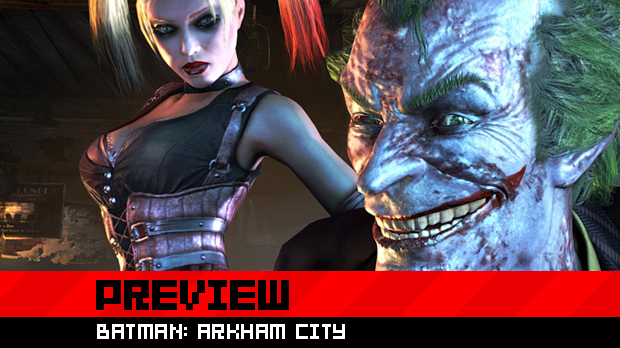 Arkham City is a sprawling urban area, and as such, Gotham's criminal masterminds are all vying to take control of it. In the case of the presentation I saw, it's Two-Face who has stirred up some ruckus by taking Catwoman hostage. In order for someone like Two-Face to take over, he needs to recruit thugs for his cause, and what better way to do that than kill the infamous Selina Kyle? With some help from Alfred and the new Cryptographic Sequencer V2, a gadget that hacks into audio frequencies so you can eavesdrop, Batman figures out that Selina is being held hostage at the nearby courthouse. The city is huge, so walking there would be pretty annoying. Thankfully, Batman's gliding ability has been greatly improved. We see Batman diving and rising through the air in order to gain momentum towards his destination. The city is full of life, and along the way, Batman comes across a group of thugs that are attacking Jack Ryder (recognize the name, Batman fans?) on the streets below. Batman identifies one as a Riddler informant, and you'll want to interrogate these thugs in order to find and collect all the Riddler trophies. The informant needs to be the last one standing, so Batman literally drops in on one thug and then takes the rest out. 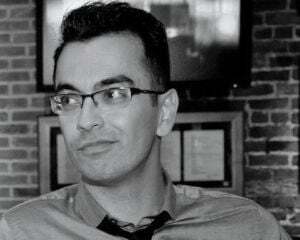 Once the Riddler thug is isolated, he quickly spills the secrets before he's punched out by Batman. One of the trophies is nearby, so Batman uses the batclaw to do the new grapple boost maneuver, launching himself into the air and gliding to his goal. The trophy is within a bear trap, so Batman fires his batclaw to grab it. In addition, the batclaw can now be used in combat to reel enemies in. From here, we make our way to the courthouse. Once inside, a cutscene shows Two-Face arguing with himself about what he's about to do to Catwoman. The evil side wins out, of course, and we see that Catwoman is being hung upside-down over a steaming vat of what looks to be acid. After the scene, Batman uses Detective Mode to identify the biggest threats in the room of nearly fifty thugs. Batman first heads upward to take out a guy with a machine gun overseeing the room. From here, Batman tightrope-walks to the middle of the courthouse, locks on to a machete-wielding thug, and drops down on him. As soon as Batman drops in, the entire room clears out -- except for a few stragglers, and Two-Face, who is now shooting at him. As soon as all the enemies are dispatched, Two-Face actually manages to hit Batman with a shot; another cut-scene kicks in with him about to end Catwoman's life. She manages to get her arms free and break out; in the scuffle, she almost gets shot by Two-Face before Batman saves the day. With Two-Face strung up in place of Catwoman (and oddly just left there), Batman questions her about what's going on in Arkham City. Some of the dialogue was actually censored to prevent spoilers, but the gist of it is that someone's plotting something big against Batman. Before he can find out more, the Joker makes his presence known, almost sniping Catwoman in the head. During this scene, the player hears Joker's voice -- the evil clown isn't doing so well, if his coughing fits are any indication. Batman needs to figure out where the bullet came from and does some CSI-ing to identify that Joker's shot originated in the giant clock tower located a few blocks away. Before taking off, Batman heads downstairs to see Calendar Man in his little prison cell. Rocksteady has done a lot of work with the dialogue and you can just hang back and overhear tons of conversations. In the case of Calendar Man, he'll tell you stories about the murders that he committed on major holidays, which are actually tied to your console or PC's calendar. So play Arkham City on Christmas Day, and he'll tell you all about his evil deeds on the happiest day of the year. Back outside, Batman grabs a ride off a helicopter patrolling the area, until he reaches the clock tower. Batman jumps and we're shown another new move, where he dives straight into an enemy and connects with a throat grab. It's a pretty brutal and awesome takedown. Another new move shown off was the "Beat Down," which sees Batman throwing out a fury of lightning-fast strikes ending in an uppercut. Perfect for taking down heavily armed thugs. Bats then makes his way in, only to be greeted by Harley Quinn and four armed thugs overseeing a room full of hostages. Quinn attacks Batman, but is simply thrown to the ground. Easily defeated, she makes her exit and leaves the four guards to deal with Batman. The thugs start to have a hilarious conversation about how they're about to get their asses handed to them by Batman. When they finally work up the nerve to actually shoot, Batman throws down the new smoke bomb item and disappears above. The guards freak out and disperse around the room and here we see some more new attacks. First, Batman sneaks up behind two of the thugs and performs a new double takedown by slamming their heads into each other. He then goes towards baddie number three, and takes him out by hanging off a ledge and using his legs to choke the guy out. Finally, Batman gets behind the confessional booth, where the final guard is holding a hostage. Batman can now bust through objects with just his bare hands, and does so to take the guy out. These are all-around badass moves. Once the room is cleared, Batman heads to the top of the building, only to discover that Joker was remote-controlling the sniper rifle. The room is also filled with explosives, so he needs to act quickly to lock in on the frequency Joker was using with the Cryptographic Sequencer. Once achieved, Batman dives out of the window seconds before the bomb goes off, and this is where the demo ends. Transitioning from one objective to the next is presented without any major breaks, as opposed to something like Grand Theft Auto. Even though you're set in an open-world arena, it still looks like you'll be going through the game on a somewhat linear path. 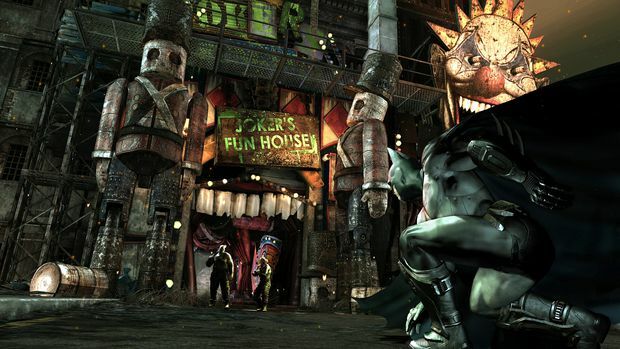 Combat looks better than ever, too, and you have twice as many moves as in Arkham Asylum. The visuals and art direction are as stellar as ever too. You're in a much bigger environment, but that same intense Batman atmosphere is very much present. 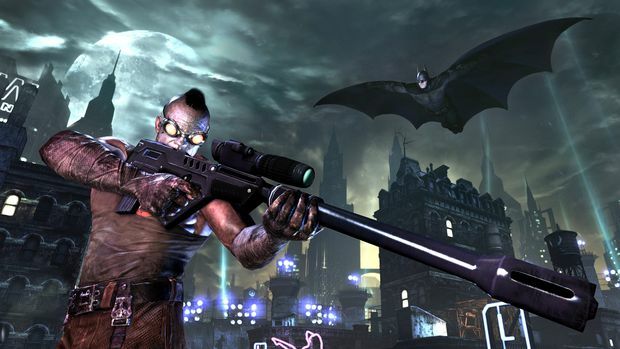 I simply cannot wait for Batman: Arkham City.